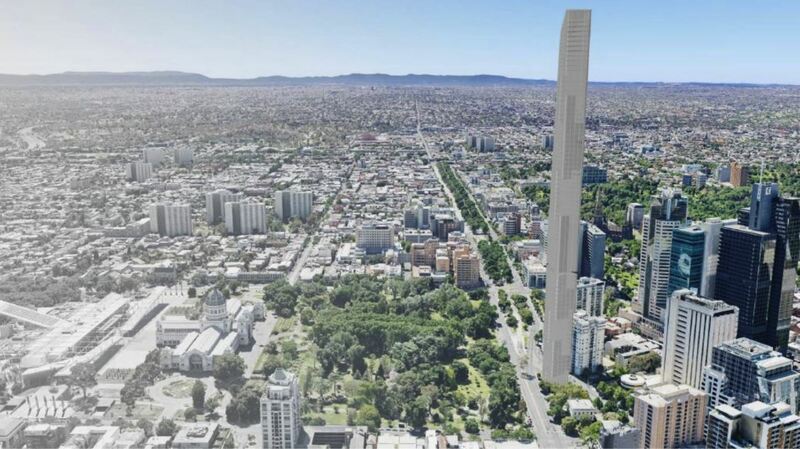 Development giant Grocon and the Royal Society of Victoria have floated plans to deliver Melbourne’s tallest tower on one of the city’s smallest lots. The ultra-skinny 60-storey apartment skyscraper, known as the Magic building, would stand at 330m on a triangular plot of land – approximately the size of a tennis court. The bold new skyscraper would sit next to Melbourne's Royal Society of Victoria’s double-storey headquarters and a caretaker’s cottage, both of which are heritage-listed. 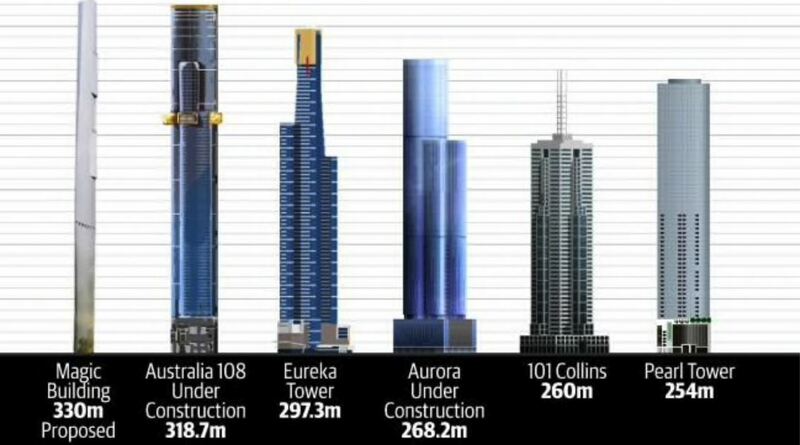 If realised, the Magic building in Melbourne would be the nation's and the southern hemisphere's tallest skyscraper, at an estimated cost of $150 million. Decibel Architecture will design the apartment tower, which will also double as a science engagement precinct. “Magic, at 1 Victoria Street, will be the most innovative, most sustainable, tallest possible reach-for-the-stars proposition we can create,” Decibel Archiecture’s Dylan Brady said. According to the development team, the proposed tallest tower is feasible from an engineering perspective, with the next steps hanging within planning approval. There are various heritage and planning overlays that would require approval for the skyscraper in Melbourne from Heritage Victoria, the federal government from an aviation operations standpoint, and the Victorian government. If approved, construction partner Grocon would aim to deliver the project at minimum necessary returns to enable most of the profits to go to the Royal Society of Victoria’s perpetual endowment fund for projects and awards. The bespoke Melbourne tower will offer high-end apartments, each with floor space of about 250 square metres. Profits from apartment sales will be injected back into the Royal Society to help promote science in Victoria. “We look forward to working with the various authorities and stakeholders to realise this vision for the Royal Society of Victoria and its future,” a Grocon spokesperson said. Grocon is currently developing the $2 billion “final piece” of Sydney’s Barangaroo and has indicated a shift towards build-to-rent with a site acquisition earlier this year in Melbourne’s Southbank.